Urgent Care versus Emergency Room – Where Should You Go? Do you find that nine times out of ten, you need medical attention either on the weekend or after your primary physician’s office has closed for the day? Typically your choice is to either wait until your physician’s office opens, go the Emergency Room at your local hospital, or go to an Urgent Care Clinic. Choosing to go to the Emergency Room often means waiting for several hours before receiving any services, and it can be quite costly based on your insurance coverage. Emergency Rooms attend to catastrophic injuries, for example, a severe injury to the spine, spinal cord, or brain, and may also include skull or spinal fractures. So, if your medical concern is not life threatening, expect a long wait while the severely injured take priority. Conversely, an Urgent Care clinics wait time tends to be much shorter and is likely to be more affordable. 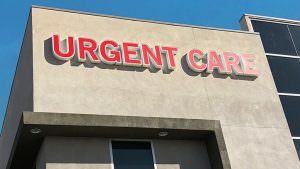 An urgent care clinic provides the kind of routine injury treatment and medical care that a primary care physician performs in the office. For example, you may choose to go to Urgent Care for a cough, sore throat, back pain, fever and earache. In a September 7, 2018 New York Times article entitled “How to (Maybe) Avoid Sticker Shock at the Emergency Room”, Richard Klasco, M.D. and Richard Zane, M.D., suggest “Checking with one’s insurer before visiting the emergency room can be critical for avoiding sticker shock. High deductible, high co-payment plans put the onus on the patient to choose wisely.